Taking a brief look at the MTX 512 to add floppy support. The only other MTX emulator is MEMU but seems to rely on patching ROMs to simplify emulation. Due to this it's not clear which ROM dumps are original and which have been fabricated or patched. Am hoping the MTX community can assist in clarifying things. 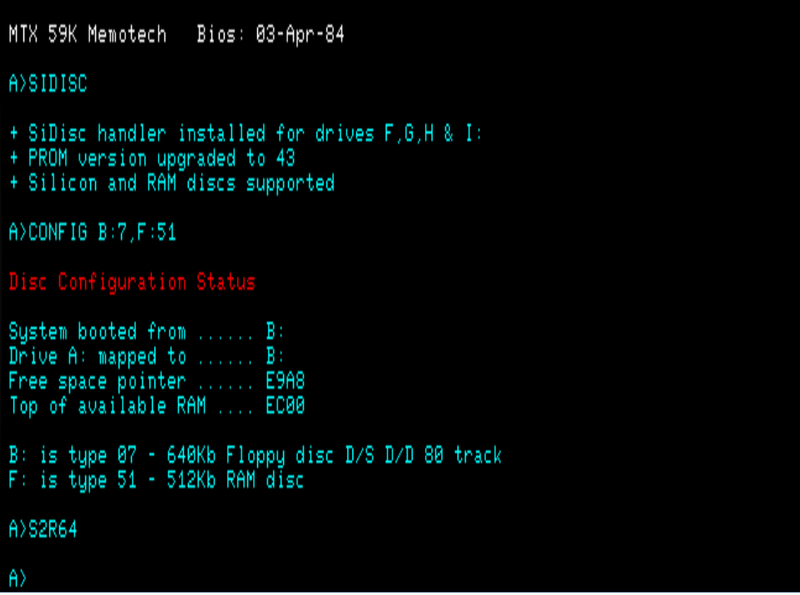 I'm concentrating on the SDX Controller which connects to the expansion port, but there are various versions with different ROMs depending on drive type being used, also later versions came with on-board 512K Silicon Disc and a CP/M boot ROM. 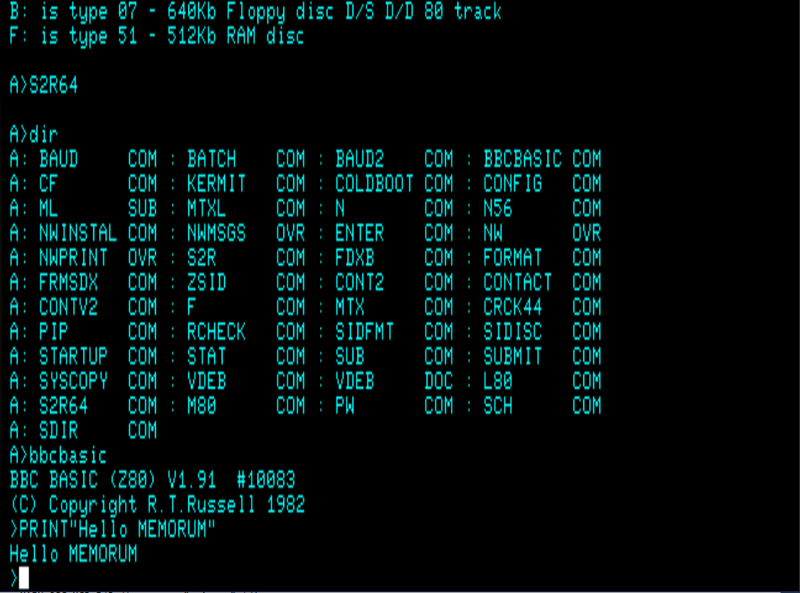 The current mtx512 driver contains an unused 80z.bin that I'm now using for 6845 character ROM. Anyone know the origin of this? It doesn't quite match the character set described in the FDX manual (a couple of characters differ) so am hoping the MTX community can provide valid PROM dumps. 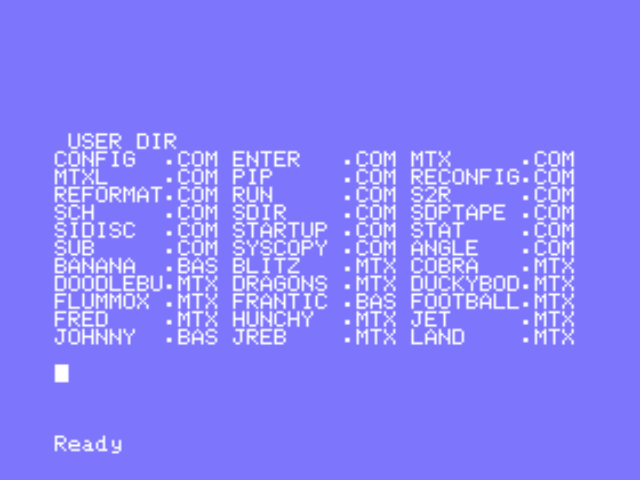 Also added support for the MFLOPPY format that are common in the MTX world. There's also an earlier FDX floppy system but isn't as well documented, but also hope to support this. Great work! I remember seeing ads for the MTX512 in the 80s and it sounded pretty neat. Nice to see MAME starting to do it well.